It’s our favourite time of year at Rajapack, and packaging plays a very important part in ensuring presents arrive at their destination safe and sound. Christmas packaging is luxurious, fun and colourful with ribbons and beautiful bows, and we take pride in making our gift packaging range look special while protecting what’s inside. In this post we’re going to be catching up on some fun facts about Christmas and rounding off our top 5 packaging picks to give your products that extra sparkle and shine this festive season. We’ve also included our key delivery dates and Royal Mail’s so you don’t miss a thing! 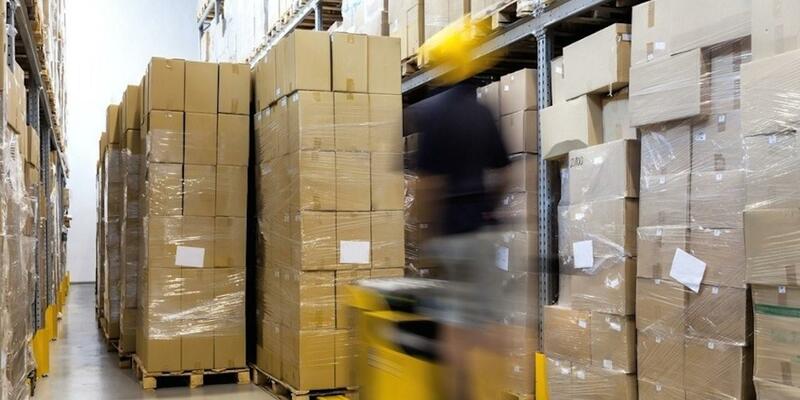 With online shopping getting more popular, the parcel market is increasing year on year. 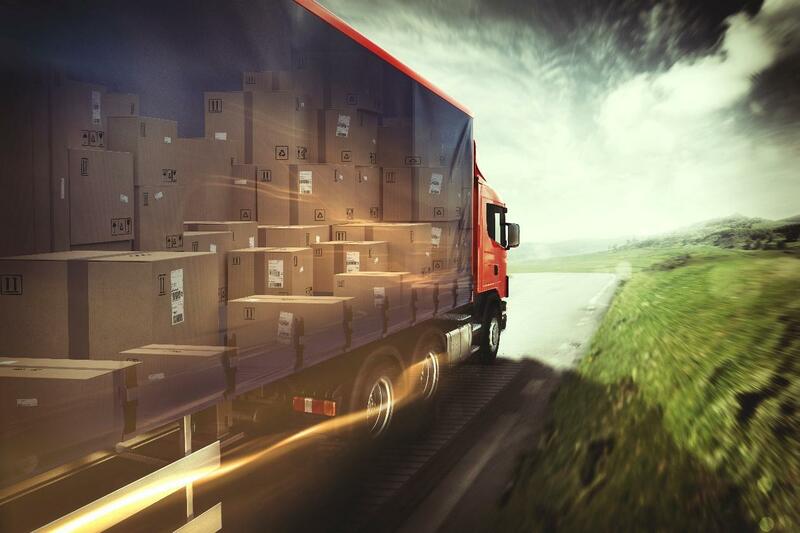 According to Pitney Bowes, spending in the UK parcel market increased by 8% last year to a massive 10 billion pounds! If parcel volumes continue to grow at this rate, the UK could be sending as many as 3.9 billion parcels as soon as 2021! * That’s nearly 4 billion parcels with packaging being sent in one year, so it’s more important than ever to know what we can recycle. Last Christmas it was estimated in the UK we used more than 40 million rolls of sticky tape and over 100 million rolls of wrapping paper! We also disposed of almost 100 million black bags of packaging from toys and gifts^, which is a huge amount of waste going to landfill. Recycling can be a confusing topic as what we can recycle isn’t always clearly labelled, and you often need to check with your local authority as what they can accept varies across the country. Read our How to Recycle Gift Packaging blog for more information on what’s recyclable and how you can find out what your local recycling centre can accept. If you already shop with us, you’ll know the great range that we offer all year round at RajaBoutique, and Christmas means that everyone can take advantage of some of our sparkling gift packaging and great offers. 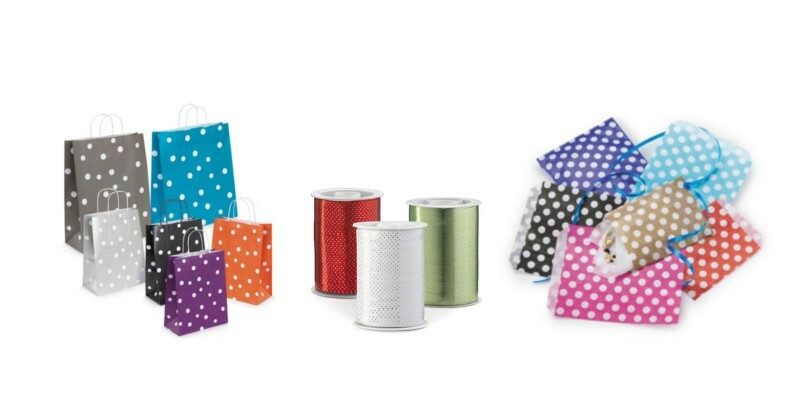 We’ve got a super standout range of gift packaging featuring fashionable polka dots. Bright and colourful, the polka dot design is fun and adds creative flair to any gift. Our range of counter top paper bags is perfect for Christmas confectionary and our polka dot plastic wrapping is ideal for hampers and boxes. We also have various sizes and designs of polka dot gift bags from classic retro pastels to modern bright colours, and you can top it off with a glossy polka dot ribbon to add that final exciting flourish. To add luxury and elegance to any gift, take a look at this rich and decadent velvet baroque wrapping paper. With a slight sheen set into the baroque swirls and a gorgeous velvet look, this extra special wrapping paper is sure to add class to those important gifts. 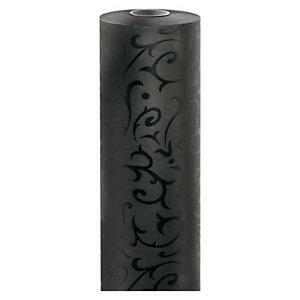 In classic black for added dramatic effect, this ultra-chic wrapping paper is also fully recyclable. 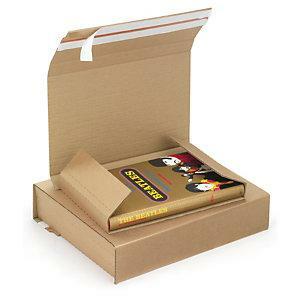 Simple, lightweight, easy to store and post, our wraparound boxes are so quick to use. They have extended edges for added corner protection and are suitable for more items than just books… they are also perfect for posting CDs, DVDs and Blu-ray discs, by adjusting the height using the pre-creased grooves. 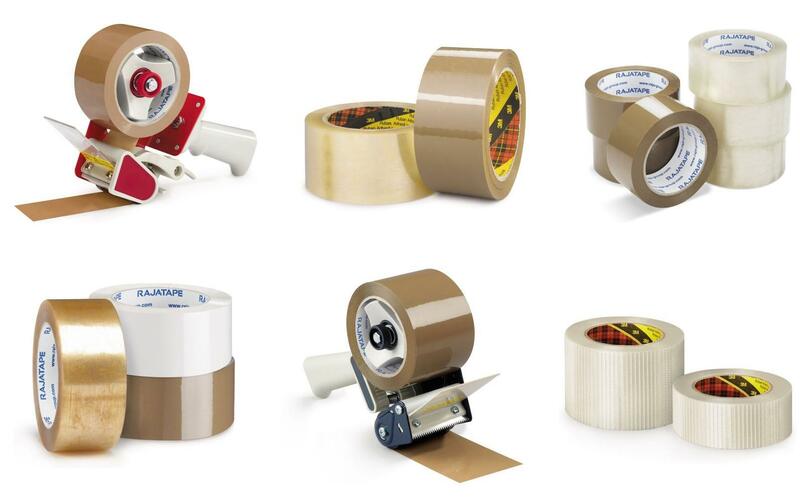 The strong adhesive strip means quick and easy sealing of the parcel without any need for tape or strapping. They’re available in natural brown or classic white and are delivered flat packed for easy storage. A new product to Rajapack this year, these revolutionary crash-lock boxes work by simply pressing both sides of the box from flat into the box shape, and the flaps lock automatically. You only need tape to seal the top of the box. This quick assemble box is efficient, strong and rigid with reinforced double thickness board on the base. Available in single and double wall, these boxes could revolutionise your packaging process, just watch our short video to see how quick and easy it is! Looking for something different? These metallic gloss bubble postal bags offer excellent all round protection with bright and bold festive colours and sparkle. They have a thick layer of protective bubbles that makes them tearproof and waterproof, giving your items great protection in transit while looking great. 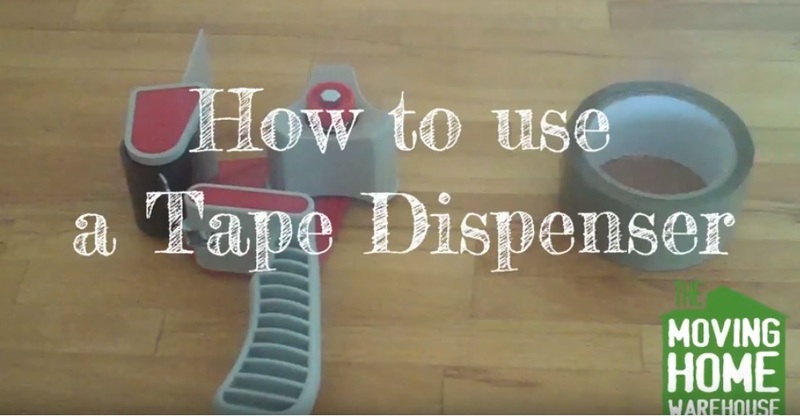 Perfect for posting a range of items. To wrap up and help you make sure you’re well prepared, we’ve detailed the key courier dates below so you don’t get caught out when it comes to posting your parcels this year. 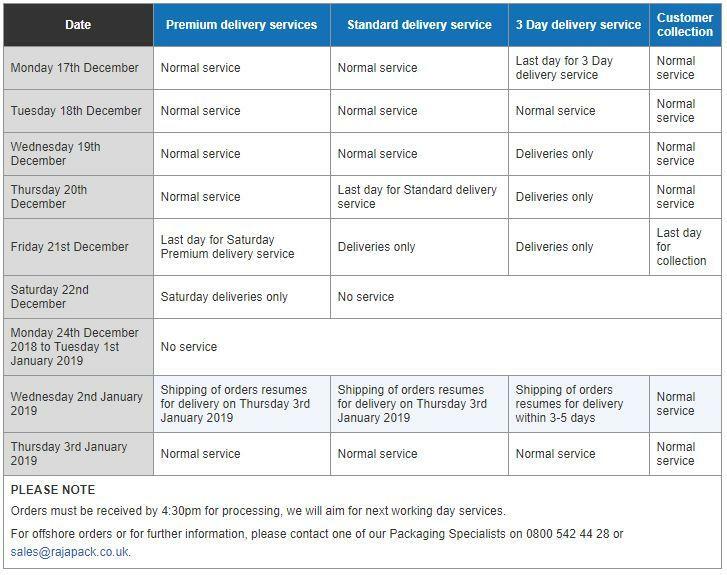 If you are ordering your packaging from us this Christmas, then please do take note of our last order dates below. Make sure you have allowed enough time to process any outgoing parcels before the last courier dates. To ensure your packaging arrives in time for Christmas, place your order by 4:30pm Thursday 20th, we’ll deliver the next day on Friday 21st December. Orders placed between Friday 21st and Monday 31st December will be delivered on Thursday 3rd January 2019. We’ll be open as normal on 2nd January with deliveries resuming on the next working day, 3rd January 2019. Normal terms apply. For full details of our Christmas opening times, to request our latest catalogue or browse our Christmas packaging range, simply visit www.rajapack.co.uk or contact our team on 0800 542 44 28. This entry was posted in Packaging Industry News on December 17, 2018 by Rajapack UK. Warehouse vehicles are essential for most businesses that handle goods and products. The use of such vehicles allows the safe transport of products and materials from manufacturing to storage, distribution and then onto retail. It’s important to use the correct equipment when handling loads to maintain the health and safety of employees, it also contributes to business efficiency, protecting items from any unnecessary damage. 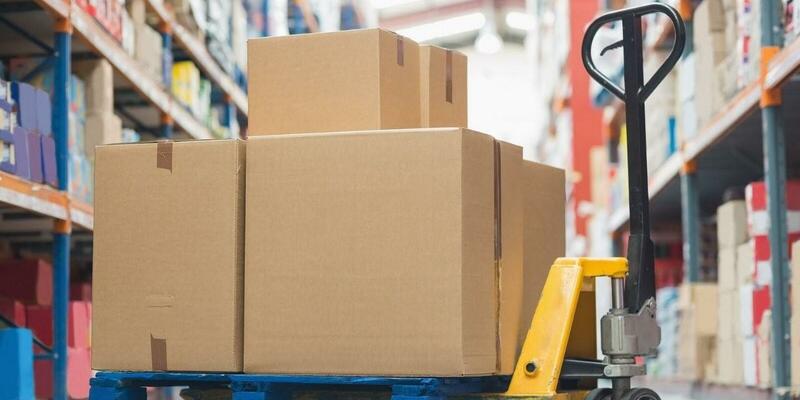 In this post we’ll be taking a look at a variety of warehouse equipment in detail, from manually operated sack trucks to powered pallet trucks so you can ensure that your business is running efficiently and safely. What different warehouse trucks are available? Different warehouse trucks are available in a wide range of weights, models and dimensions suited to many different tasks. There is so much choice available, from manually operated pallet trucks and sack trucks, to semi-automatic scissor lifting tables, right up to huge hydraulic lifters and even totally self-functioning robots! 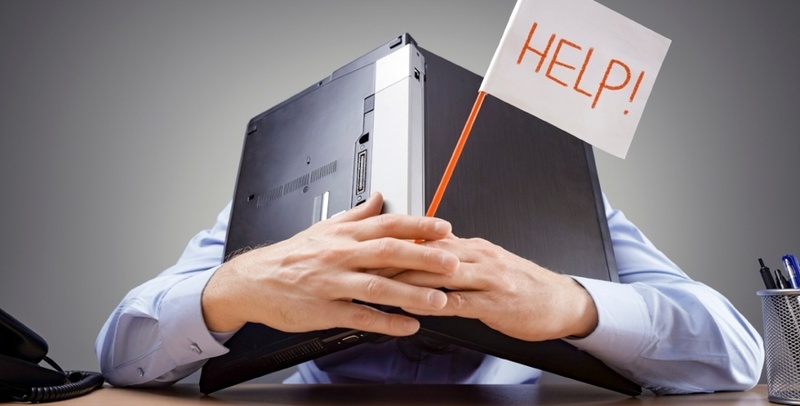 If robotics are a bit beyond your current reach, don’t worry! We offer a range of sack, platform and pallet trucks all in different sizes so you can keep your product distribution flowing without a hitch. What is a sack truck? To help you differentiate the types of warehouse trucks, this section will explain what is a sack truck. Commonly used for lighter loads, a sack truck works by levering the weight of an item, balancing it over the trucks’ wheels allowing it to be transported easily. Sack trucks are commonly made from materials such as aluminium, steel tubing or high impact plastic, making them lightweight and versatile for a range of duties. But what is a sack truck used for? The sack truck’s purpose is to transport goods from one place to another. This could be a stack of heavy boxes, machinery or even used by baggage handlers to move heavy luggage. Did you know, sack trucks were originally used in the 18th century by young harbour workers who were employed to move heavy bags of spices around the docks! Sack trucks are extremely versatile, cost effective and easy to use. They allow one warehouse operative to move something that may otherwise take 2 or 3!. Even though they are easy to use, knowing how to use a sack truck safely is very important and to also warehouse errors. Firstly, check the truck and wheels before use to make sure it’s not damaged, and ensure the load does not exceed the weight limit of the truck. Carefully place the load on top of the toe (this is the flat metal piece that rests on the floor) so it’s ready to be lifted, and make sure it’s secured before gently pulling the top of the sack truck towards you and pushing forward. As sack trucks require no formal training to operate, it’s important to feel confident and know exactly what to do when operating one. If you have concerns, do speak to your supervisor or the manufacturer of the truck before using it. Moving on to the next type of warehouse truck, answering, what is a pallet truck? As the name suggests, pallet trucks are machines designed for lifting and moving pallets. They’re a basic form of forklift truck and are mostly used to move pallets and their goods around warehouses. They come in 2 main forms; manual and electric powered. For this post we will be focusing on manual pallet trucks which are commonly used in warehouses and in the retail sector. If you’re looking at purchasing a pallet truck you may be wondering how much does a pallet truck weigh? 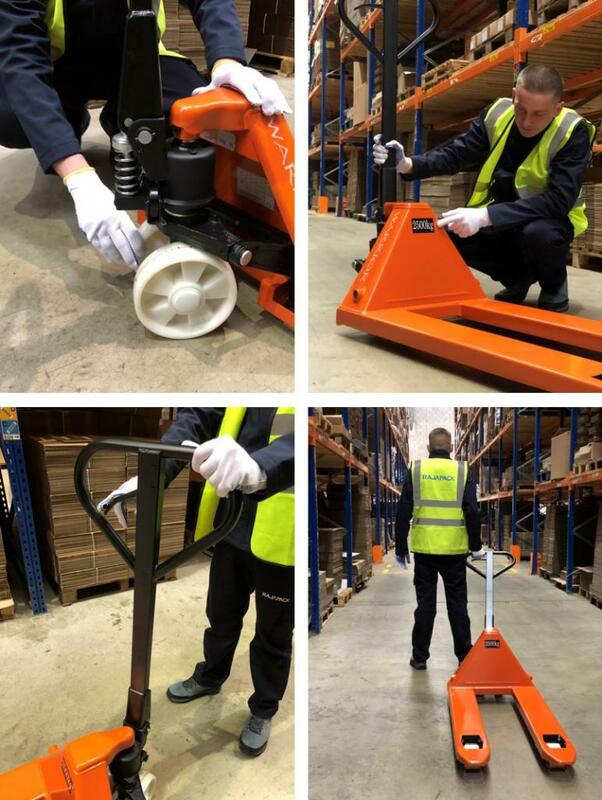 The answer entirely depends on the pallet truck you may be considering – we currently offer 7 of the most popular manual pallet trucks but there are countless more available in the marketplace. A pallet trucks’ weight is not necessarily an indication of how much it can lift. 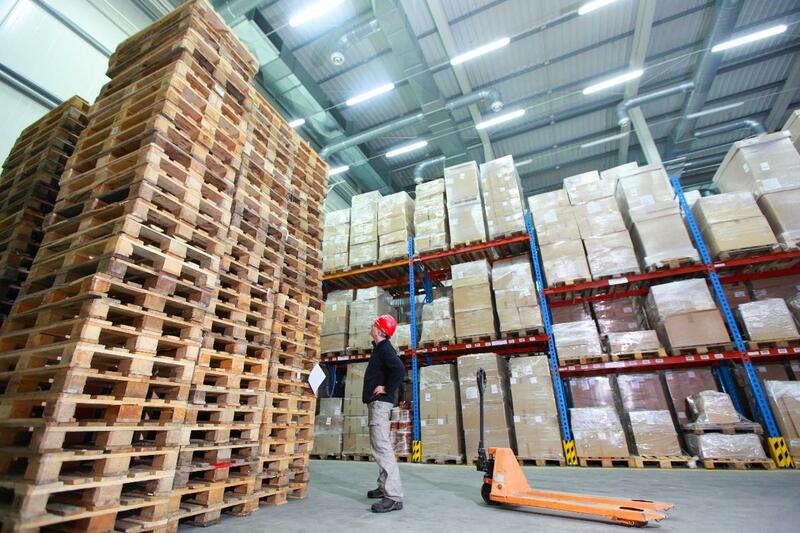 So then, what is a pallet truck’s safe maximum handling limit? This varies depending on the individual piece of machinery. For example, our Extra heavy duty pallet truck weighs in at 80kg with a maximum load capacity of 3,000kg whereas our Economy pallet truck weighs 79kg and has a maximum load capacity of 2,500kg. It all depends on the intended use of the truck, so work out the typical weight to be lifted, where the pallet truck will be stored when not in use, and who will be operating it, before making a final decision on which one to purchase. Just like sack trucks, using a pallet truck does not require any formal training, so knowing how to use a pallet truck before you start is important! Step-by-step guide: How does a pallet truck work? Before you begin to use the truck, check the body and wheels are in good condition and not damaged. Check the maximum load of the pallet truck and ensure the weight of the load you’re intending to move doesn’t exceed this. Find the release lever, this is a small lever usually near the handles that drops the lifting prongs to the floor. Pull the lever to lower the prongs, then slide the prongs underneath the pallet. Once in position, repeatedly pull the handles towards you which will start to lift the prongs. When the prongs and load are at a suitable height, you should be able to smoothly push the pallet truck to move it. Remember, if you’re unsure then speak to your employer or the manufacturer of the truck before attempting to use it. Learning the mechanics: How does a pallet truck work? Hopefully the step-by-step guide, this section will go into more depth into the mechanics of how does a pallet truck work. Manual pallet trucks are able to lift and carry heavy loads using hydraulics. When the release lever is pulled, it releases the hydraulic fluid, lowering the prongs. The action of repeatedly pulling the handles towards you increases the pressure in the hydraulic fluid, raising the prongs and the load. So how should an operator move a pallet truck? Manual pallet trucks can be pushed or pulled, although most people are able to push more weight than they can pull, so it’s always safer for the handler to push. To find out how to use a pallet truck safely always speak to your employer, the manufacturer or read our short guide in the section above. To ensure lifting equipment is strong enough for safe use and marked to indicate safe working loads. Ensuring that any equipment is positioned and installed to minimise risks. Any work done is planned, organised and performed by a competent person. Lifting equipment is regularly inspected by competent people. More information can be found about LOLER on the Health and Safety Executive (HSE) website. So are pallet trucks covered by LOLER? The HSE states that pallet trucks are not covered by LOLER where the consequence of the load falling off is very low. However, where the equipment is used in the workplace, it will need to be properly maintained and may be subject to inspection under the Provision and Use of Work Equipment Regulations (PUWER). 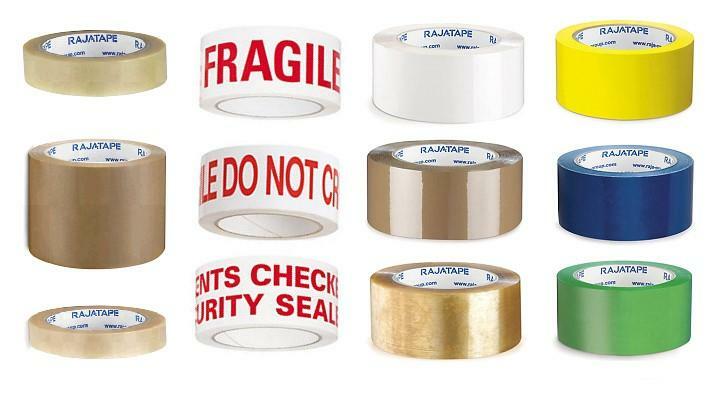 We have a core range of essential equipment at Rajapack however if you’re looking for a wider choice visit our sister company Welco. 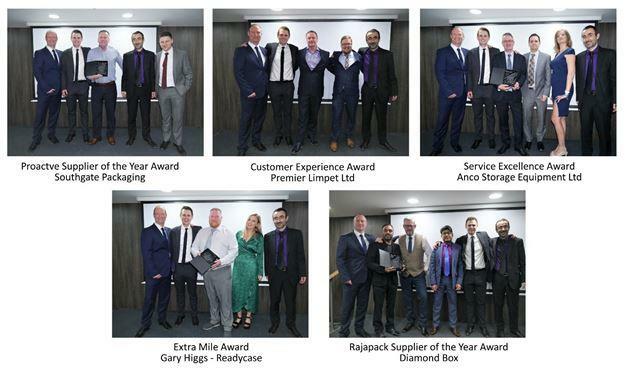 If you’d like more information about our range of warehouse trucks, or help on selecting the right warehouse equipment for your needs simply get in touch with our team of Packaging Specialists who will be happy to help. Visit www.rajapack.co.uk or contact our team on 0800 542 44 28, or sales@rajapack.co.uk. 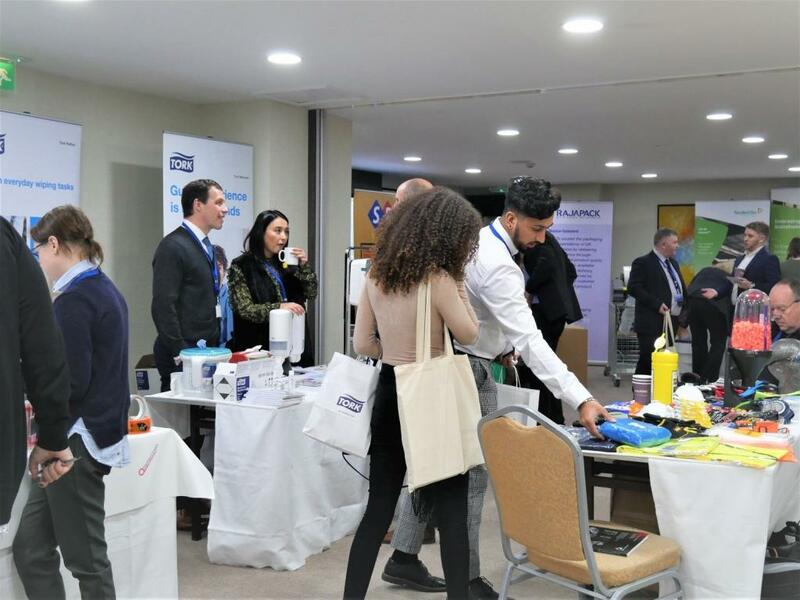 This entry was posted in Packaging Products & Materials and tagged warehouse on December 12, 2018 by Rajapack UK. Christmas is coming and it’s a busy time for everyone making sure we’re organised for the big day. One thing that can be overlooked is what to do with all the used gift wrapping and boxes once those presents have been opened. As a nation we’re very aware of the importance of recycling, however at Christmas with so much packaging and wrapping around it’s not always clear what we can recycle. In this post we will be looking at how to recycle gift bags, gift boxes, tissue paper and gift wrap so you can ensure that you’re recycling the right items this Christmas. One of the most common leftovers we all have after Christmas is a mountain of gift wrap, so it’s no surprise that we’re often asked “is gift wrap recyclable?” This isn’t a straightforward question to answer as there are a few factors to consider, but in short – if you can scrunch the paper into a ball and it stays scrunched, then it should be ok to recycle it (remember to remove any plastic tape first!). Not all gift wrap is recyclable though as it can often contain materials other than paper, such as plastic or glitter. We’ve covered this in more detail below, so read on for more information on what can and can’t be recycled. Gift bags are a great way to give a present without having to wrap them first, and they also come in a huge range of colours, designs and finishes. A common way to recycle gift bags is to reuse them when giving a gift to a friend or relative, but once they wear out can you recycle gift bags in your normal paper recycling collection? If the bag is made from paper or thin cardboard then you should be able to remove any non-recyclable extras such as ribbon handles, plastic tags or decorations before you recycle. Remember though, this does depend on your local council recycling restrictions, as they vary across the UK. To make things easier, we have included useful links below on where to find this information online. 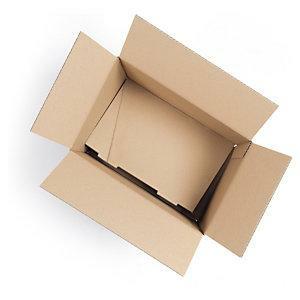 Over 12.5 million tonnes of paper and cardboard are used in the UK per year* and they’re widely recycled, but can gift boxes be recycled as easily? Luckily, recycling gift boxes is straightforward. Simply remove any non-recyclable items such as plastic packaging from inside the box, metal embellishments and glittered areas. 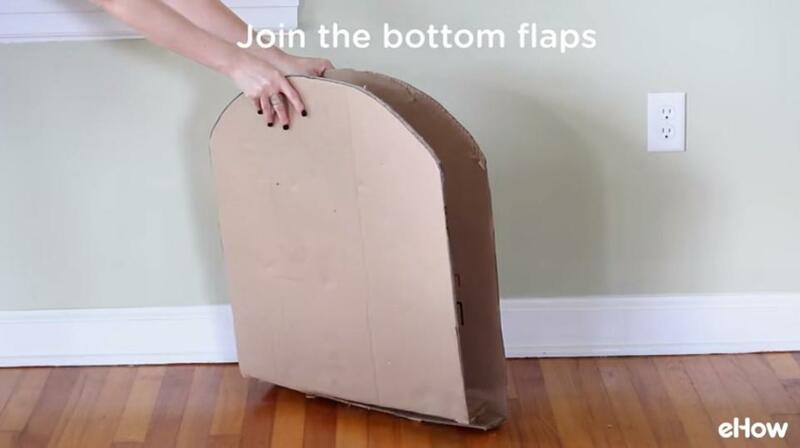 Then flatten the box before disposing of it, to save on space in your recycling bin. Even though gift bags can be recycled it is not a straight forward answer. 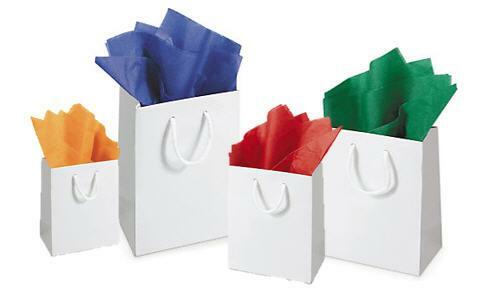 Gift bags have excellent durability meaning that they can be used many times before they start to look worn and become unusable. Eventually they will start to wear out, look tired and will need to be disposed of. But it depends on what the bag is made from as gift bags can be made from paper or lightweight cardboard, sometimes with a plastic coating. There are also countless decorations from ribbons to plastic jewels, metal, feathers… the list is endless! Though if the bag is made from paper or thin cardboard then once you have removed the decorations, gift tags and handles it should be safe to recycle. Because there are so many different materials a gift bag can be made from, it’s best to check with your local authority as some will accept gift bags and some may not. To find out what’s recyclable in your area click these links for England & Northern Ireland, Scotland and Wales. Select one of the three options to find out what can be recycled in your local area then type in your post code for the results. Most of the time you can, just check what material the box is made from, if it’s cardboard then you can recycle! It’s important to remove any plastic coated gift tags, bows, ribbons or glitter covered areas as these can’t be recycled. 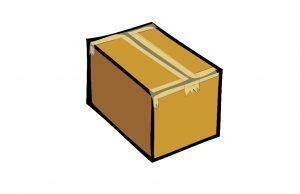 Remove any items from inside the box, this could be plastic packaging or even a forgotten gift! 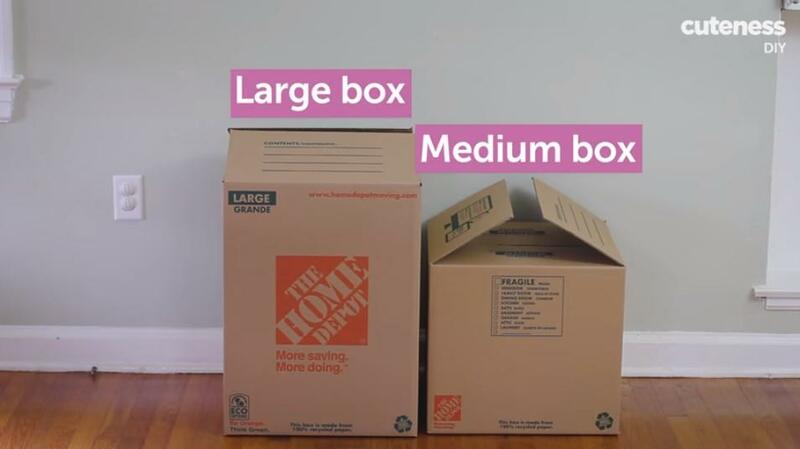 You’ll also want to flatten the box to save on space in your recycling. Alternatively, instead of throwing gift boxes away, don’t forget you can reuse them for gifting! Also they can make a great stylish storage solution around your home or office for paperwork, shoes, toys… anything that will fit inside! Can gift wrap be recycled? Most of us are used to seeing the mountains of used gift wrap on Christmas Day morning once those presents have been opened, and you may ask yourself can gift wrapping paper be recycled? It’s not a simple answer, even though we know it as ‘wrapping paper’ it often contains more materials than just paper. Gift wrap that contains foil or glitter is not recyclable, nor is plastic sticky tape or decorations such as bows and ribbons. If you bought recycled wrapping paper though, it should be safe to recycle again. If you’re still asking can you recycle gift wrapping paper, there is an easy way to find out with the scrunch test. Squash the paper into a ball and if it stays in a ball shape then you can probably recycle it. Is gift wrapping paper recyclable by your local authority? Some councils will take away your wrapping paper with your roadside collection, while others may want you to take it to a recycling centre. To find out about your area click for England & Northern Ireland, Scotland and Wales. Select one of the three options to find out what can be recycled in your local area. Can you recycle tissue paper? A brilliant addition to any gift is tissue paper to add elegance and style to a present, but is tissue paper recyclable? As with most recycling, it depends on the type of tissue paper so it’s best to check with the retailer first. 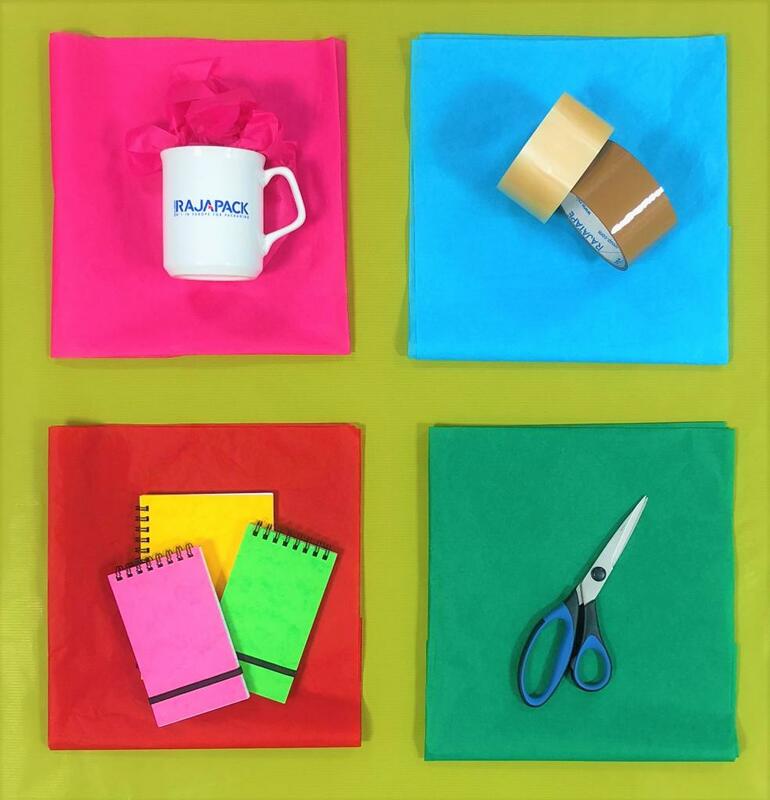 Our range of tissue paper are recyclable, these include coloured tissue paper, white tissue paper and metallic tissue paper – this is because we use soluble ink to achieve the metallic effect rather than using synthetic coatings. If in doubt, check with the retailer or your local council before you recycle. 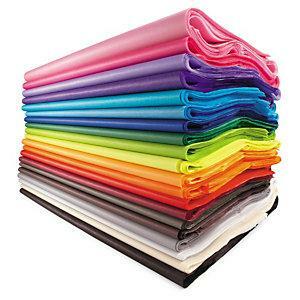 There are other ways to recycle used tissue paper as it can easily be crafted for a variety of uses. 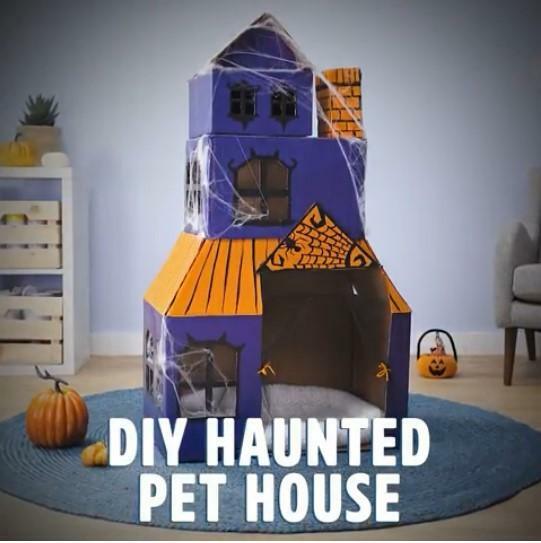 You can create countless decorations or even shred ripped tissue paper to use again in future. So, is tissue paper compostable? Mostly, yes – tissue is made from recycled materials and is constructed of short fibres so it does break down in a composter, you can wet it first to start the process. So then ? 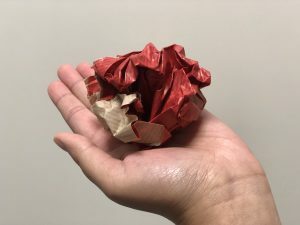 As with most recycling there are some exceptions to the rule, if the tissue paper has a coated metallic finish then it’s probably not going to breakdown easily so you may want to try some of our ideas for reusing it above. Before attempting to recycle any gift packaging, check first with your local authority if they will take it away or if you need to take it to the recycling centre. 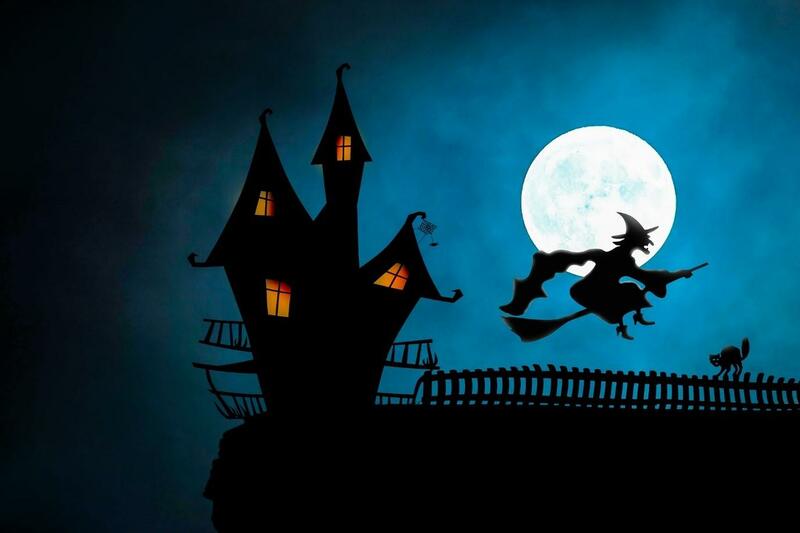 Remember to remove any glitter, decorations and plastic coated areas. 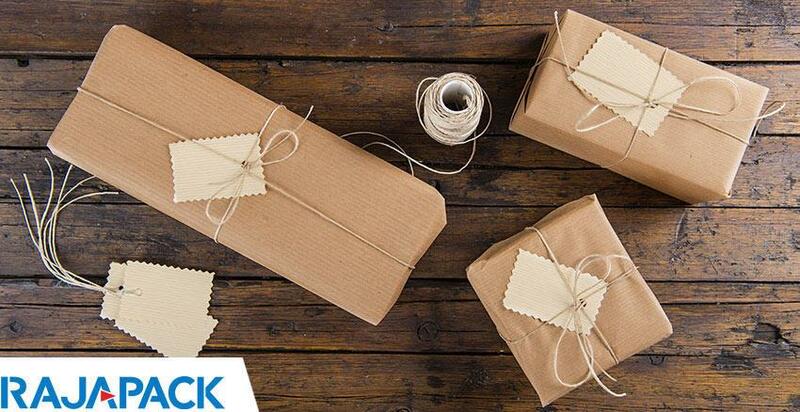 Don’t forget that you can upcycle your old gift packaging into something new or reuse it for another gift. For more information read our environmental FAQs and you can find our full range of gift packaging on our website but if you need help and advice simply contact our team on 0800 542 44 28, or sales@rajapack.co.uk. 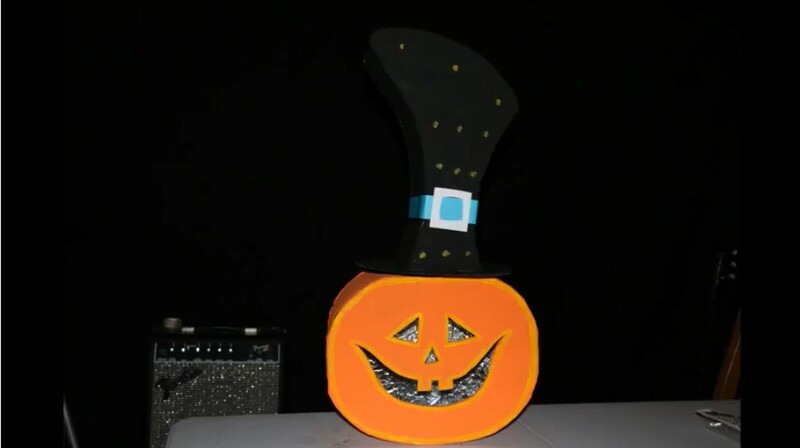 This entry was posted in Environmental packaging, Packaging Products & Materials and tagged christmas, Environmental packaging, recycle on November 21, 2018 by Rajapack UK. Our reliance on plastic is at an all-time high, and a lot of the plastic we encounter on a daily basis is single-use. From drinks bottles, straws, stickers on fruit, our clothing and even tea bags, you might not realise it but it is all around us. Plastic is very durable and does not biodegrade – which is what makes it a great material for making so many things. But, because it does not biodegrade it will remain in our environment forever. Every year, up to 12.8 million metric tons of plastic ends up in our oceans. [i] It can take up to 500 years to decompose and, even then, it will still be present in our environment in the form of microplastics. Microplastics are an ever-growing problem; because of their small size they are difficult to clean up, and marine wildlife accidentally consumes them. In turn, fish and seafood that ends up on our dinner tables have been found to contain microplastics. [ii] This poses a danger to our health too as plastic absorbs contaminants from the surroundings which could pose a significant risk to our health. On a more local scale, we can all make small changes to curb our plastic consumption. Buying a reusable cup for your morning coffee or saying no to a plastic straw in your drink might seem insignificant, but if everyone makes the effort it can make a difference. Globally, protective packaging materials make up almost half of all plastic waste. Our Eco Flo loose fill is completely biodegradable and is an easy swap which will help to curb your plastic consumption. Find out exactly how long some of the most common plastics take to biodegrade, and the alternatives that are better for the environment in Swimming in Plastic: what’s the harm? 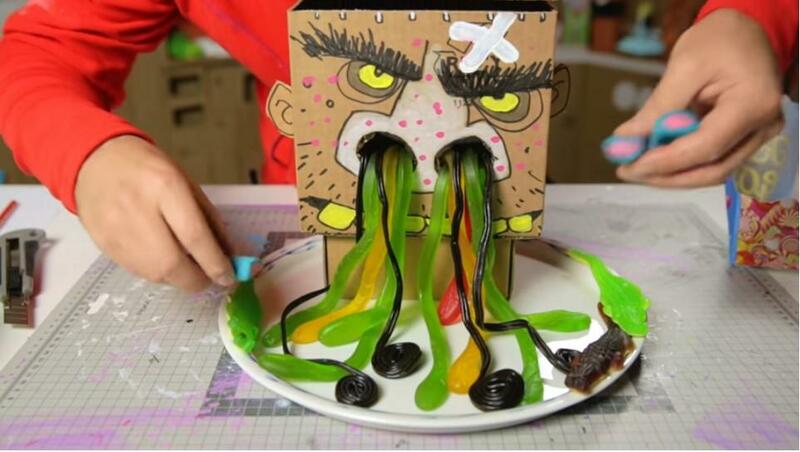 This entry was posted in Environmental packaging, Packaging Industry News, Packaging Products & Materials and tagged biodegradable, business, Cardboard boxes, eco-packaging, Environmental packaging, packaging, Plastic bags on October 17, 2018 by Rajapack UK. 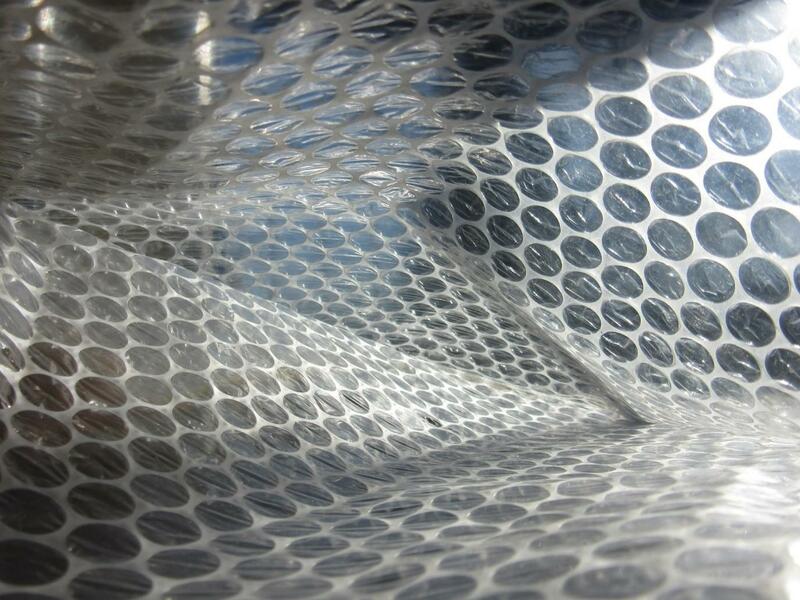 Protective packaging such as bubble wrap, has one of the most important roles to play in any packaging operation – keeping an item safe from knocks, bumps and shocks, so that it gets to its destination intact and undamaged. An essential material in this range has always been bubble wrap packaging, ever since it’s invention way back in 1957. It’s lightweight, strong, soft, easy to work with and offers amazing protection for almost anything – on top of that it’s great fun to pop and an ultimate stress reliver! 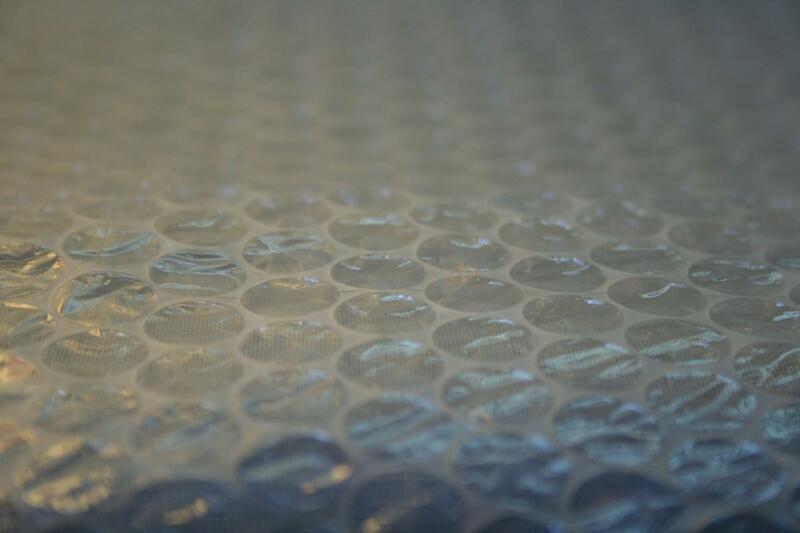 In this post we’re focusing on bubble wrap in detail; looking at how it’s made, how it was invented, how it can be used for packaging and how to recycle bubble wrap too! So, how is bubble wrap made? Bubble wrap is made from tiny beads of resin, almost like grains of rice. Several different resins are used for their different properties and these are combined into the material that we know and use as bubble wrap. The tiny resin beads are melted down together at over 450 degrees Celsius, where they combine and form into a thin film which is the base material for making bubble wrap. This film is then flattened to the required thickness before being fed through rollers with small holes in. As the film travels over these rollers, air is vacuumed onto it, pushing it into the small holes which create the air bubbles that give it such good protective qualities. With the air bubbles blown into the film, it’s then run across more rollers which seal it with another layer of film, trapping the air inside and ensuring that the small air bubbles stay contained. 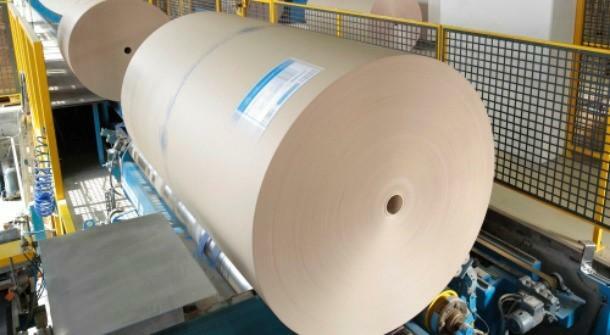 Finally, it’s cut to width and perforated so it can be rolled up into large, industrial sized rolls. After passing quality checks, it’s then shipped out to be used all around the world. Bubble wrap was invented in 1957, not by a single person but by two inventors named Alfred Fielding and Marc Chavannes. If you’re wondering where was bubble wrap invented, it was first created in Hawthorne, New Jersey in the United States. Alfred and Marc were not trying to create a packaging material at all but were in fact working to invent a three-dimensional tactile wallpaper by sealing two shower curtains together! Unfortunately, their invention failed to sell as a wallpaper so they tried marketing it as a greenhouse insulator, also with limited success. It wasn’t until several years later in 1961 when the packaging and protection offered by their invention was fully realised. The name ‘Bubble Wrap’ was branded by Sealed Air corporation (which was founded by Alfred and Marc) and IBM became their first large customer, who used it to protect their sensitive computers during shipment. 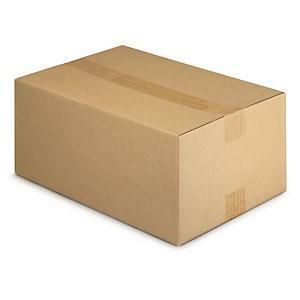 Over 50 years later it’s used all over the world and is one of the most common packaging materials in use today. There are several ways you can recycle it; some local councils are able to collect it along with their standard recycling collections, others offer recycling facilities at local sites which you can take it to. You’ll need to check with your local council to find out if they accept bubble wrap. You can easily find out about local recycling collections through the ‘Recycling Collections’ section of the government website, by simply entering your postcode. 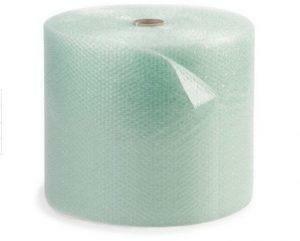 For a more eco-friendly packaging alternative to standard bubble wrap, take a look at recycled green bubble wrap. This is made from at least 15% recycled polythene for less impact on the environment and is fully recyclable after use. It’s green colouring makes it identifiable to customers that it’s not your standard bubble wrap and can help to display your businesses’ green credentials. You can use bubble wrap for packaging as it is lightweight and strong , bubble wrap can be used in many ways for packing and protecting. To find out how to use bubble wrap, we’ve included some information below. Bubble wrap features a flat side and a side with the cushioning bubbles. A common question we get asked is, “which way round should you wrap items for the best protection?” We always recommend to wrap the bubbles next to the item you wish to protect, so usually that means the bubbles are on the inside. This gives the best protection by placing the cushioning directly against the item. For protecting individual items in cartons from bumps and knocks, prewrap bubble wrap around each one before placing into a carton or box. This will provide a layer of air cushioning, offering excellent protection in combination with the strength of the item. 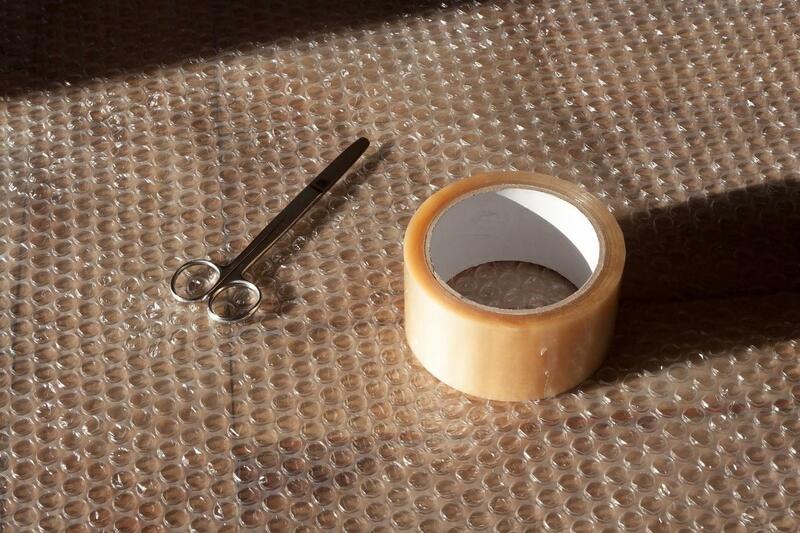 Use packaging tape to fully secure bubble wrap, tightly sealing the item inside. This will ensure you get the most protection from the cushioning material. If it’s only loosely wrapped, then it is likely to slip during transit and won’t be protected. If you are shipping parcels with several items inside, bubble wrap can be used to layer and separate them, providing a soft layer of air cushioning while preventing products from moving around loosely during shipping. Divide your bubble wrap into squares, and these can then be placed inside the parcel to cushion and protect between items. There are also other bubble wrap packaging items available which can be used to protect smaller, fragile or sensitive items in the post or while in storage. Bubble wrap bags offer excellent protection for sensitive items, providing all round cushioning and protection. 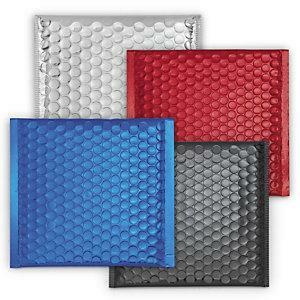 They’re great for use with an envelope or carton to offer an extra layer of protection. For fragile or sensitive items such as electronics, anti-static bubble wrap bags offer a layer of air cushioning and prevent antistatic discharge. Finally, for envelopes with extra cushioning take a look at bubble envelopes which offer a simple way to seal and protect mailed items in one complete protective package using bubble wrap. If you’d like more information on how to recycling packaging materials, read our environmental FAQs, or for further advice please contact our team on 0800 542 44 28, or sales@rajapack.co.uk. 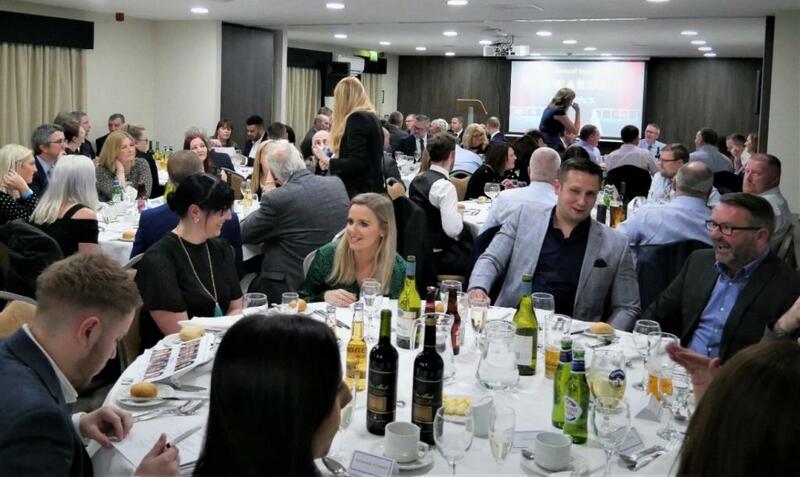 This entry was posted in Packaging Products & Materials and tagged Environmental packaging, packaging, packaging innovations on October 4, 2018 by Rajapack UK.